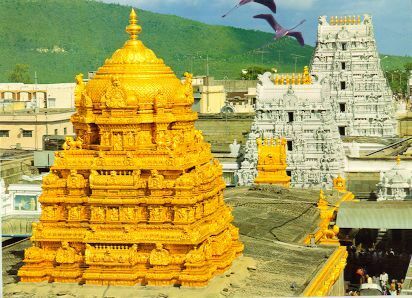 Venkateswara Temple is a renowned Hindu temple located in Tirumala town at Tirupati in Chittoor district of the Indian state of Andhra Pradesh. 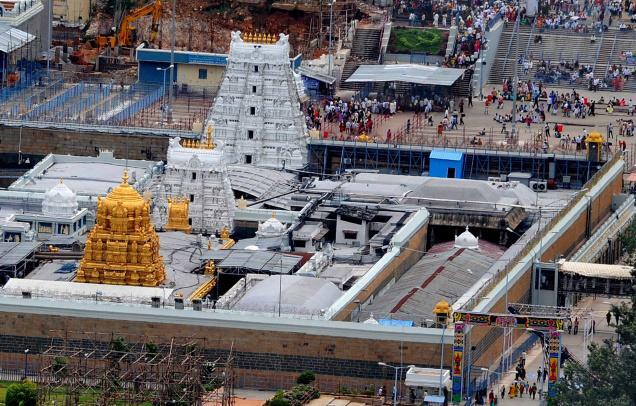 The Vaishnavite temple also referred to as Tirumala Temple, Tirupati Temple, and Tirupati Balaji Temple is devoted to Lord Sri Venkateswara, an incarnation of the Hindu God Vishnu. 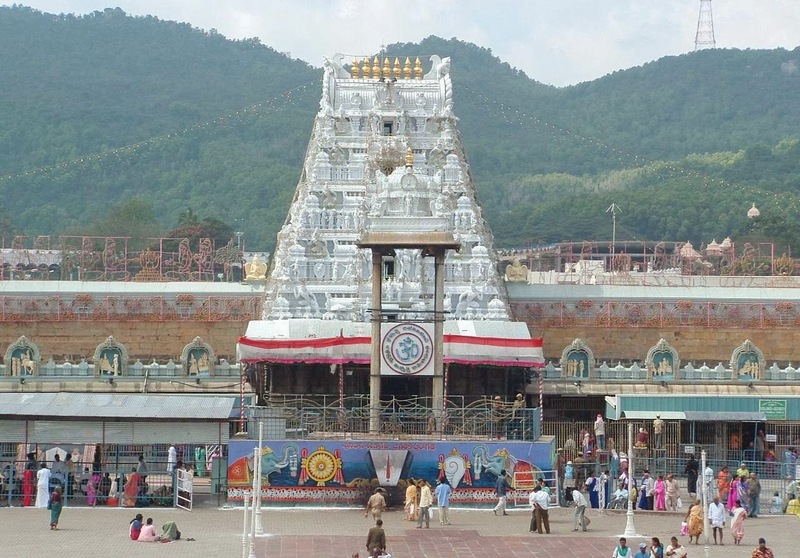 The temple lies on the seventh peak of the Tirumala hills, on the southern fringes of Sri Swami Pushkarini and hence is also known as “Temple of Seven Hills.” It is the world’s richest temple in terms of donations received and wealth. 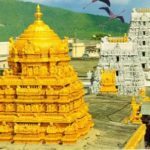 Although the temple enjoyed the patronage of many important dynasties of South India, the temple acquired its present wealth and size under the Vijayanagara Empire with ample donations of gold and diamonds. 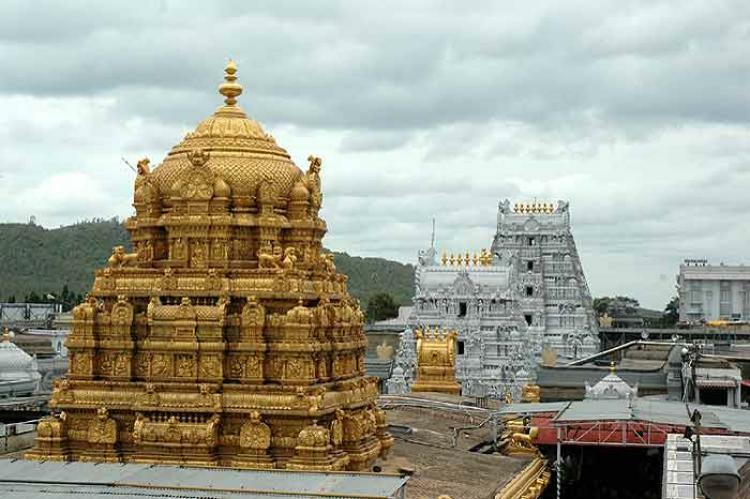 In 1517, Vijayanagara king Krishnadevaraya donated a considerable amount of gold and jewels on one of his many visits to the temple which paved the way of Ananda Nilayam (inner shrine) roofing to be gilded. After the fall of the Vijayanagara Empire, rulers from other states like the Kingdom of Mysore and the Gadwal Samsthanam donated many ornaments and valuables to the temple. Maratha general Raghoji I Bhonsle established a permanent administration for the conduct of worship in the temple. 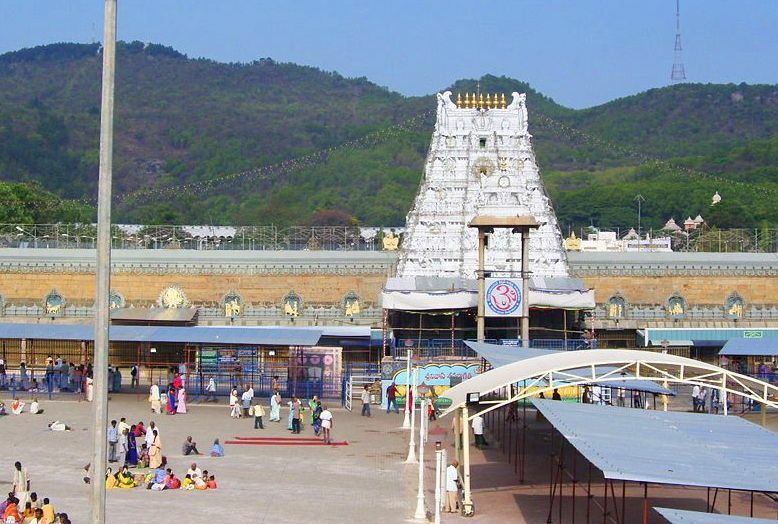 In 1843, with the arrival of the Madras Presidency, the administration of the temple along with other shrines went under Seva Dossji of the Hathiramji Mutt at Tirumala as Vicaranakarta for almost a century until the establishment of Tirumala Tirupati Devasthanams (TTD) which is an outcome of the TTD Act in 1932. 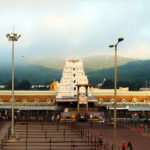 After independence, Tirupati was integrated with the Andhra state as the majority of its population was Telugu speaking. There are three entrances or Dwarams which lead to Garbhagriha from outside. 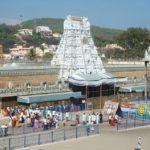 Mahadwaram or the first entrance also known as padikavali, is provided through the outer compound wall, has 50 feet, five-storied Gopuram(Temple tower) on top of it with seven Kalasams at its apex. 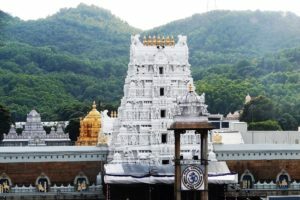 Vendivakili(Silver Entrance), also called Nadimipadikavali is the second entrance provided through the inner compound wall has a three-storied Gopuram above it also with seven Kalasams at its apex. The third entrance or Bangaruvakili(Golden Entrance) leads into Garbhagriha has two tall copper images of the Dvarapalakas Jaya-Vijaya on either side of the door. 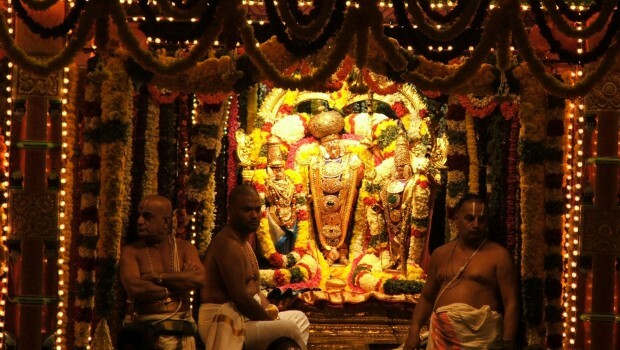 The wooden door is covered with golden plates portraying Dasavathaaram of Vishnu. The circumambulation around Sanctum sanctorum in the temple or deities is known as Pradakshinam. 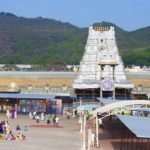 The temple comprises of two circumambulation paths – the first one known as Sampangipradakshinam is the area between Mahaprakaram and sampangiprakaram has many Mandapas, Dwajasthambam, Kshetrapalika sila, Balipeetam, prasadam distribution area, etc. The Vimanapradakhinam or the second pradakshinam circumambulates Ananda Nilayam Vimanam. This path includes many sub-shrines, kitchen, golden well, Almyrah of Sandal paste, Lords’s hundi, the cell of records, etc. 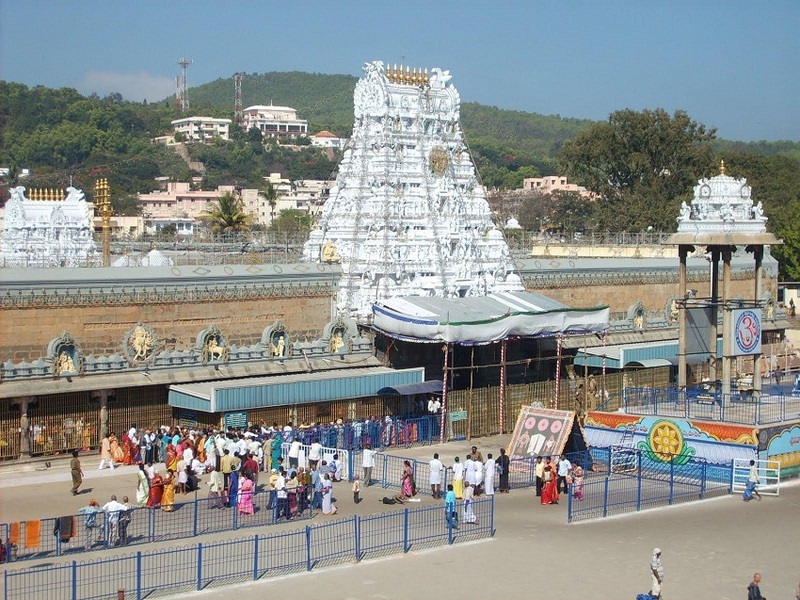 Garbhagriha is the residing place of the deity of Lord Venkateswara along with other small deities. The deity is in a standing position adorned with precious ornaments. Anandanilayam vimanam is the main Gopuram built over Garbhagriha. The Gopuram is three-storied with a single Kalasam at its apex. 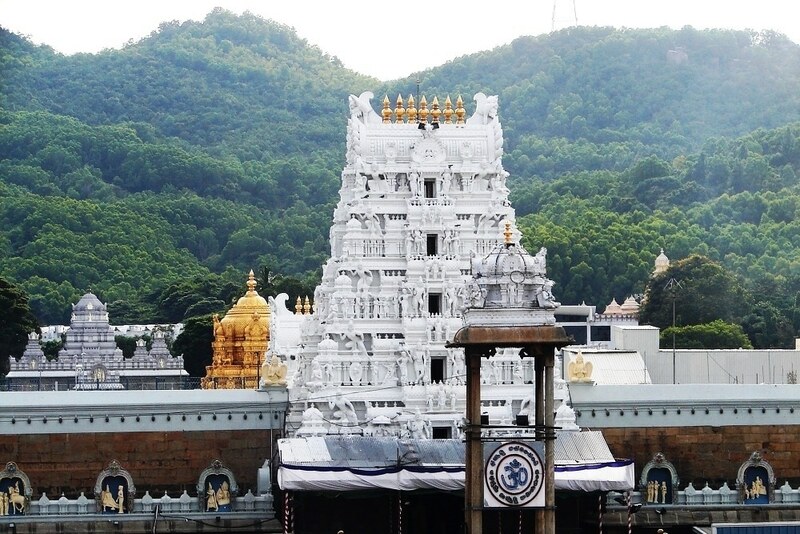 Many deities of gods were carved over this Gopuram – one such is the deity of Venkateswara called “Vimana Venkateswara” which is considered to be the replica of deity inside Garbhagriha. The walls of the temple bear numerous inscriptions which hold immense historical, cultural, and linguistic significance. About 640 inscriptions are found engraved on the walls of the temple – all are in Telugu, Tamil, and Kannada. 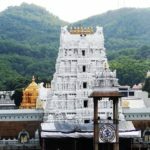 In addition, the temple has a collection of 30,000 copper plates containing inscriptions of Telugu Sankirtanas of Tallapaka Annamacharya and his descendants. The collection is a treasure trove in terms of the historical linguist in Telugu in addition to its significance to musicologists. 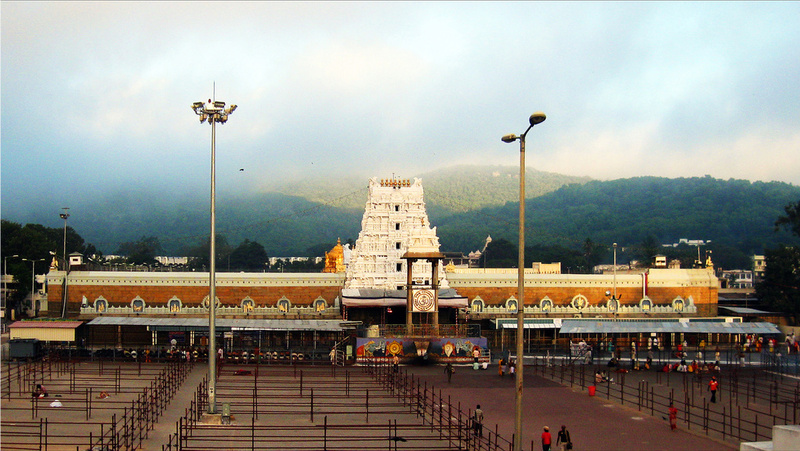 The chief deity of Lord Venkateswara is known as Dhruva Beram which is about 8 feet in height. 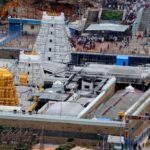 There is one small silver deity about one foot known as Kautuka Beram gifted to the temple by the Pallava Queen Kadavai Perundevi. Then there is the Snapana Beram which signifies the fearful aspect of Lord Venkateswara. 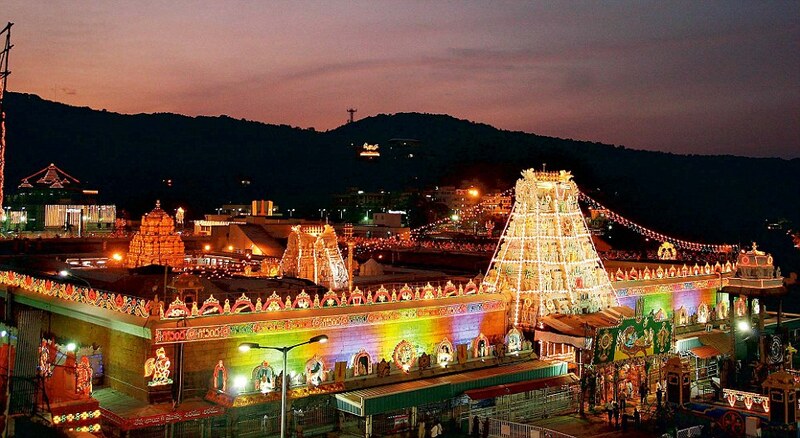 Utsava Beram is the image of the Lord taken out in procession through the town is always flanked by the deities of Sridevi and Bhudevi, the two consorts of Venkateswara. There is a deity made from an alloy of five metals known as Bali Beram, considered as the guardian deity controlling the financial and economic affairs. Currently, only three pujas namely, UshaKala puja, Madhyahna puja, Nisi puja are performed daily in the temple conducted by hereditary Vaikhanasa priests who have handled the services for generations. The number of devotees having Darshan of the main deity exceeds 50,000 to 100,000, while during festivals and special occasions, the number of pilgrims reaches up to 5,00,000. 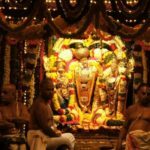 The temple organizes more than 433 festivals in a year, the most noteworthy are the Sri Venkateswara Brahmotsavams, Vaikunta Ekadasi, and Rathasapthami. 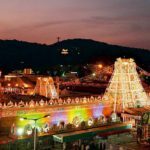 The temple offers its famous Laddu along with other prasads namely curd rice, tamarind rice, sweet pongal, etc., to the devotees. It is a very well-known custom among the devotees to shave their head as an offering to God. The amount of hair collected daily exceeds one ton. The temple organization sells the gathered hair by public auction which fetches a lump sum amount to the temple’s treasury. 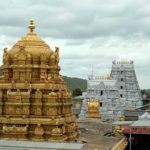 Devotees donate money and other valuables such as gold as a gesture of love for the Lord which is known as Hundi collections. The ritual features a devotee sitting on one side of the weighing balance whereas the other side is filled with other materials greater than the weight of the devotee. Devotees often use food items or gold, coins. It is mostly performed with children or newborn babies. 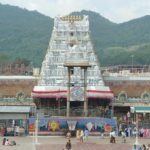 Numerous sub-shrines, namely Varadaraja Temple, Yoga Narasimha Temple, Garuthmantha Temple, Bhuvaraha Swamy Temple, Bedi-Anjaneya Temple, Vakulamatha Sannidhi, Kubera Sannidi, and Ramanuja Shrine surround the main temple.